The Kremlin-controlled "Supreme Court" of occupied Crimea postponed the appeal hearing of the Ukrainian political prisoner Volodymyr Balukh’s defence for an indefinite period. The political prisoner was not brought to the "court" session. It is known that Balukh insisted on a personal presence in the court hall, however, he was allowed to participate in a session only by a videoconference. The "Supreme Court" secretary asserted that the political prisoner refused to leave the prison cell for videoconference. A judge wanted to hold the session without Volodymyr Balukh, however he postponed the appeal hearing due to the protest of the political prisoner’s defence. Previously QHA reported that the "Supreme Court" of Crimea had to consider an appeal of the Volodymyr Balukh’s defense on September 24. Chairman of the Mejlis of the Crimean Tatar people Refat Chubarov called on residents of occupied Simferopol to come to the building of the "court" and support the Ukrainian political prisoner. He stressed that the case against Volodymyr Balukh was falsified. 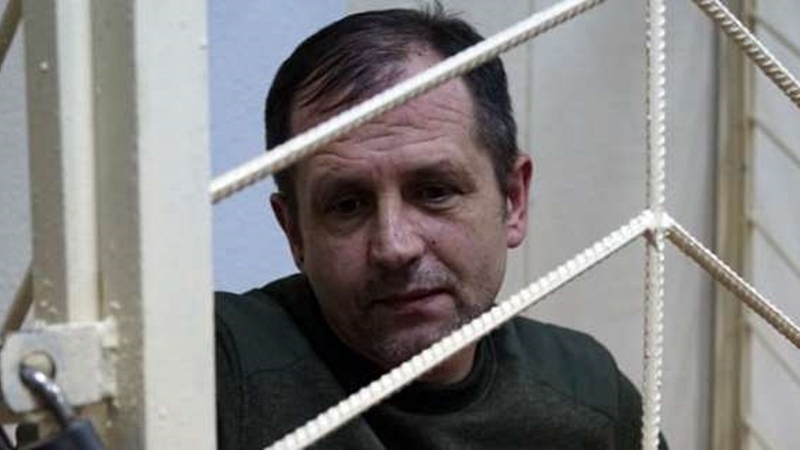 Reference, on July, the Russian-controlled Razdolnensky District Court sentenced Volodymyr Balukh to 5 years in a general-regime penal colony and 10 thousand rubles (about 4 thousand hryvnia) in conjunction with two criminal cases: for allegedly beating of the head of a temporary detention facility in Crimea and for illegal acquisition, sale and storage of weapons.